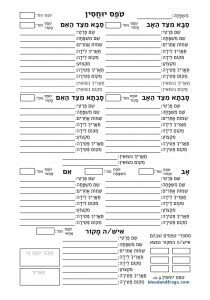 This is the second article in a series on publishing text in Hebrew and Yiddish for genealogy books. The first article looked at Finding Hebrew Fonts. This article looks at using those fonts to publish Hebrew, Yiddish or any Right-to-Left (RTL) language using Adobe InDesign, without having to buy the more expensive Adobe InDesign ME (which has extensive support for RTL languages). The standard software for professional publishing these days is Adobe InDesign. When publishing genealogy books there are genealogy programs that can output formatted reports and books (such as the book output options of Heredis and GEDitCOM II mentioned on Tuesday), but if you want a fully customized book that can be published professionally (or through an online publisher/printer like lulu.com) either you or someone else who is helping you will likely need to use InDesign. 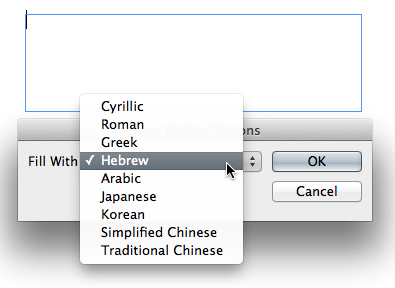 InDesign itself is not cheap (about $650), but if you want to use RTL languages like Hebrew, Yiddish, or Arabic, it costs hundreds of dollars more for the ME (Middle East) version. Why would you want to use RTL languages in a genealogy book? Some examples include transcribing Jewish gravestones which in many cases are at least partially (and frequently wholly) in Hebrew, and transcribing handwritten Yiddish letters. You could just put in a translation of the texts, but adding the original text, especially when the orginal may be hard to read, is a nice touch. Since most people are not going to buy InDesign just to put together one book, they probably will be using a copy at work, or have a friend who has a copy help them out. If that’s the case, however, chances are the copy of InDesign they are using will not be the ME version with support for RTL. There are actually three InDesign add-ons you can buy that will enable RTL features in standard InDesign, idRTL from Zartech for $50 (CS4 and later), World Tools from In-Tools for $99 (CS4 and later), and ScribeDOOR from WinSoft International for $151 (for CS5, CS5.5 and CS6). The cheapest solution is still $49. Again, maybe too expensive, especially if it’s not for a copy of InDesign you own. So what if you could use RTL langauges in InDesign without an expensive plug-in? Well it turns out you can, with a little trick I’m going to show you. Keep in mind this trick won’t add all the RTL features that the ME version of InDesign offers, but it will let you insert RTL text that will lay out properly. For short texts like gravestone transcriptions, or simple texts like letters, this is more than enough. If you want to format complicated things like forms and complex layouts, chances are you’ll need to spend the extra money and get one of the other solutions. Technically this has been possible since InDesign CS4, but I believe it may have required some scripting to make it work. I’m using CS6 and there is nothing you need to get it working other than following the steps below. This is what defines the type of text-box you create when using the Type Tool in InDesign. 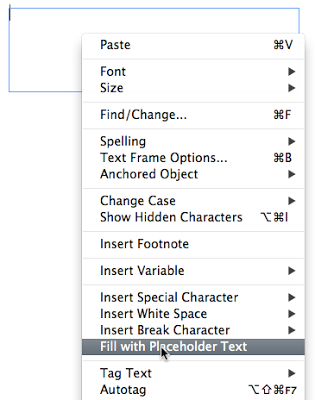 and with the Type Tool selected, create a text box on the page. Besides having random Hebrew text, you’ll also notice the text box is now in RTL mode and you can edit Hebrew text properly. Now you just delete the Hebrew text and your cursor will be on the right side of the text box, ready to enter any RTL text, whether Hebrew, Yiddish or Arabic. You can change your font, size, whatever – and it will now all work in this text box. Use any number of Hebrew fonts, like those I mentioned in my recent article Finding Hebrew Fonts. If you use this tip, let me know. If you’re interested in hearing more about publishing genealogy books, let me know in the comments. This is a touchy topic I think, mainly because there are so many reasons individuals do genealogy, and moreover people have very different connections to their families, and in some related fashion connections to their genealogical work. This article is a more general view, but if you’re interesting in finding out why I, specifically, do genealogy, my recent guest-post on The Scrappy Genealogist’s blog titled Philip Trauring – How He Does It – Secrets from a Geneadaddyblogger is probably the best exposition on that topic (as well as why I blog about genealogy). This article is partly a book review, or rather it is a book review intertwined with my view as to why people do genealogy. I’m not sent books to review by genealogy or Jewish publishers, and in any event this book was published by the University of Nebraska Press, so yes I bought this book to enjoy it. 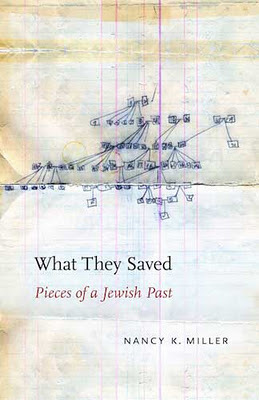 The book is What They Saved: Pieces of a Jewish Past by Nancy K. Miller. I wasn’t familiar with Ms. Miller’s work before, and perhaps if I had read some of her other books, including an earlier book on the death of her father, I might have had a different perspective, but I’ll write my impression based on the book as it stands on its own. Of course, nothing stands on its own. I came to be interested in the book because it related to genealogy, and specifically Jewish genealogy. That background colors my view of the book, to be certain, as does my own history. The book’s title, What They Saved, is as good as any place to start. Maybe I’m crazy, but the title strongly reminded me of Tim O’Brien’s collection of Vietnam-based fictional stories, The Things They Carried. Miller is a professor of English and Comparative Literature, as well as a literary critic, so I would guess she has read the book or is at least aware of it. I am not a literary critic, so perhaps the convention used in naming both books is some know method (The Third-Person Perspective Descriptive Method – I’m kidding), but it still struck me for some reason as connected. As Ms. Miller is a literary critic, I hope she doesn’t take offense at me pointing this out (or anything else I’m about to write). So why do we do genealogy? It’s a question many people reading this have probably asked themselves, but even more likely it’s a question the people reading this article have been asked by others repeatedly. Why do you do genealogy? Why do you care about people who have been dead for a hundred years? What are you going to do with all this information you’re collecting? The questions come in many forms, but most people who spend a lot of time doing genealogy get asked the same thing again and again. Before answering the question, I think it’s worth taking a look at why Ms. Miller decided to pursue her own family history. Her grandfather was a religious Jewish immigrant to the United States, coming with his wife and son. Her father was born in the US after her grandparents and uncle immigrated. Her father and uncle took very different paths in their lives, her father the upstanding lawyer, her uncle a gangster-hanger-on before moving out west and going through more life-role-changes than a Rockette goes through costume-changes. Ms. Miller doesn’t spend much time in the book on her relationship with her father – perhaps that was covered in her earlier book. She instead spends a lot of time trying to track down what happened to the uncle she never knew who moved out west and was everything from a bar owner, to military man, to small town mayor, to seeming vagabond. It’s interesting to note that Ms. Miller’s original surname, that of her father and uncle, was actually Kipnis. In her evolution to feminist activist in the 1970s she took on her mother’s maiden name, Miller, and kept it after getting married. She interestingly points out a correspondence she discovers between her father and uncle on preserving the Kipnis name (her father had only daughters and her uncle’s only son also only had a daughter), while also remembering that her father, the lawyer, helped her fill out the name-change form when she made that decision. There is almost a melancholy overtone to the whole book, as Ms. Miller doggedly pursues the clues to her family’s past, yet openly recognizes that since neither she nor her sister had any children, there will be no one to inherit the information she gathers. Perhaps, as she points out her uncle donating personal items to a museum to be stored, alongside items belongs to Wyatt Earp and others from his region in Arizona, as a way to perpetuating the Kipnis name, she too is seeking to perpetuate the name and her family through her book. Ms. Miller’s book did not go into a lot of detail on the genealogical side, and indeed from a genealogical point-of-view it is a bit unsatisfying. The idea of taking a few found-objects left behind by your family and using those objects to reconstruct one’s family tree is a nice idea, but the amount of work needed to do that is not really described, but somewhat assumed in the book. As a family memoir it is interesting, but as a genealogy book it leaves out a few too many details. Indeed one of the simpler things I found was that whenever she would describe a truly significant item she would almost never show a photograph of that item. There are very few photographs in the book, and usually they are not particularly significant. In one instance, she shows the outside of an album which has no genealogical value (but has symbolic value) instead of showing the items she describes as being inside the album. Ms. Miller is of course a writer first, so she probably feels that it is more important to write about the objects than to show them. Perhaps that is the fault of my visual nature, a bias of mine, but it was still somewhat disappointing. Ms. Miller does add some photographs to her book’s website, although not that you would know anything about the website when reading the book – I googled the book when writing this article and only came across the site by chance. So why do people do genealogy? Some do it out of a strong desire to know where they originated. We are the product of our parents, grandparents and great-grandparents’ life decisions. If my gg-grandfather had moved to Israel like his in-laws (my ggg-grandparents), his world, and indeed the world of everyone that came after him would be very different. If my gg-grandfather had decided to stay in New York like his brother, rather than returning to Europe, things would also be very different. Learning about ones ancestors, and seeing how the decisions they made affected their lives can put ones’ own life choices into perspective. Some people do genealogy as a way to connect their children or grandchildren to their past – a way of grounding them. Teenagers have a way of thinking they know better than their parents, and think everything they do is unique and their parents can’t possibly understand the decisions they have to make. While your great-grandparents didn’t have to worry about which cell phone would run the apps they need to communicate with their friends, or deal with injuries like Texting Teen Tendonitis, they made very real decisions on where to live, where to work, how they wanted to educate their children, etc. that can help your children realize that many decisions you made for them are not so different then the decisions that were made by their parents, or their grandparents, and one day the decisions that they themselves will need to make. The details may change, but the overall decisions stay the same. Other people do genealogy as a way to connect them to people in the past, either famous people, royalty, or in the case of Jewish genealogists, frequently famous rabbis. Saying a descendant of the Vilna Gaon is kind of like the Jewish version of my ancestor was an indian princess (with apologies to those who are actually descendants of the Vilna Gaon). For some, genealogy is about the detective story where you and your family are at the center. Some people read detective fiction for fun, others enjoy the detective work required to piece together one’s family tree. Figuring out where to find the records you need to prove (or at least mostly prove) where and when you ancestors were born is a challenge, even under the best of situations. The challenge is a major motivator for people, and successes in finding obscure records and proving theories on where different ancestors came from can be very satisfying. Breaking through a genealogical brick wall is akin to playing golf and getting a hole in one. It doesn’t happen often, and usually only happens with very experienced players (although some people get lucky), but even for the most experienced players, getting a hole in one is a reason to celebrate. So too, some genealogy is easy and some requires a lot of experience to achieve (and sometimes you get lucky), and when you find that one record that sends you back another generation, links different branches of a family that you had not previously been able to link, or directs you to an ancestral town you were not aware of, it is a time to celebrate. I admit to not understanding every kind of genealogist. 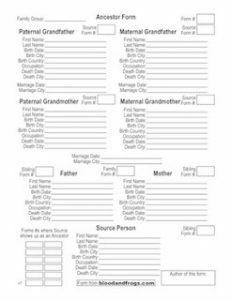 There are those who seem to have a compulsive need to add names to their family tree, but are not interested enough in the individuals they are adding to actually verify their information. If they find an online tree with some of the same people they are researching, they are likely to just download that tree and integrate it into their own, without knowing the quality of the tree they are downloading. That’s one kind of genealogist I just don’t understand. Sure, it’s easy to copy trees from the Internet, certainly easier than adding source citations to every piece of information you add to your tree. Genealogy is one of those things where I think quality definitely beats out quantity. Partly by virtue of Ms. Miller’s relatively small family, she commendably seems to have spent time trying to find as much as possible about each individual in her tree – at least on her father’s side which is the focus of the book. Ms. Miller’s motivations seem to fall primarily in the first category described. This is brought forth by the sub-title of the book: Pieces of a Jewish Past. To whose past is she referring? Her past? The ‘They’ in ‘What They Saved’ presumably excludes it being her past. Her parents past? or that of her grandparents? maybe she is collectively referring to all her ancestors? She explains that her father had little to do with Judaism, and she herself left almost all vestiges of Judaism behind (including, as she feels the need to point out, that she and her sister married non-Jews). Yet, with all of this, she keeps the tefillin (phylactery) boxes she finds among her father’s possession as a kind of desk ornament along with photos of her family. Did her father have a stronger connection to his Jewish faith than his daughter knew, or was this pair of tefillin kept for the same reason his daughter decided to keep them, as a kind of bridge to the past. Indeed, it’s even possible the author was wrong in ascribing the pair of tefillin to her father, for he could have been keeping his own father’s tefillin in the same way his daughter kept what she thought was his. I think this motivation, of wanting to know where one came from, is ironically prevalent among many people who start looking into their family history as they reach their retirement years. I can’t say for sure, but perhaps this genealogy is a form of introspection. You’ve lived your life and made the major decisions that put you, and possibly your children and grandchildren, in the places they are now. You start to wonder, did I make the right decisions? There’s a lot to learn by looking at how each branch your family differs. If you start out a hundred years ago and look at the different choices two brothers made, and how those simple decisions determined in large part the different lives their descendants lived, you can in some fashion extrapolate those differences to the decisions you made in your family, and how those decisions will have an effect on future generations of your family. My motivation for doing genealogy is some combination of understanding how the choices we make have a profound effect on future generations, as well as enjoying the detective work. When my children are older, I suspect I will also want to use the work I’ve done to connect my children to their past, but my children are too young right now. So let’s continue the conversation. Why do you do genealogy? Do you fall into one or more of the categories I’ve described above, or do you have totally different motivations? Post a comment below and share your motivations for doing genealogy. Two posts earlier, I launched into a discussion on the future of eBooks based on my interest in reading the book Ancestors and Relatives: Genealogy, Identity, and Community by Eviatar Zerubavel, and if it made sense at this stage to get it as an eBook, or whether I should order it by mail. My last post was about how we are connected to our relatives, both physically (objectively) and how we perceive ourselves to be related. How close is a first cousin once removed compared to a second cousin? Can we come up with an objective measure of such relatedness, or are such measures inherently subjective? Now an article published yesterday contains an excerpt of the book mentioned in the first post that goes into detail on the topic I brought up in my second post. The article, published in Salon, is called Why do we care about our ancestors? and discusses how our perception of our ancestry in many ways helps define our perception of ourselves. An interesting read, it makes me look forward to reading the full book when it arrives. In my youth I was avid book collector. I spent a good dozen years working on building my collection of books, finding books in stores across three continents. The books I was collecting dealt largely with the British Mandate of Palestine, during the years between WWI and when Israel became an independent country in 1948. From bookstores in big cities to a bookstore I used to visit inside a barn that would only open in the summers, from Boston to New York to San Francisco to Jerusalem, I visited a lot of stores to find books. I even remember searching the basement of a large used bookstore in Hay-on-Wye in Wales, during the Hay Festival many years ago. I actually found a number of good books which I had to ship back to the US, which took months to get to me as book rate shipping was slooowww. Things have changed a lot since then, with the Internet being the main cause of the changes. An interesting anecdote illustrates the point. Before I moved to Israel, I used to visit a couple of times a year. Each time I visited I would try to visit a series of used bookstores scattered around Jerusalem. Usually I would make a day of it and walk to all of these bookstores one at a time. One store was located right in the center of the city, run by an older man. 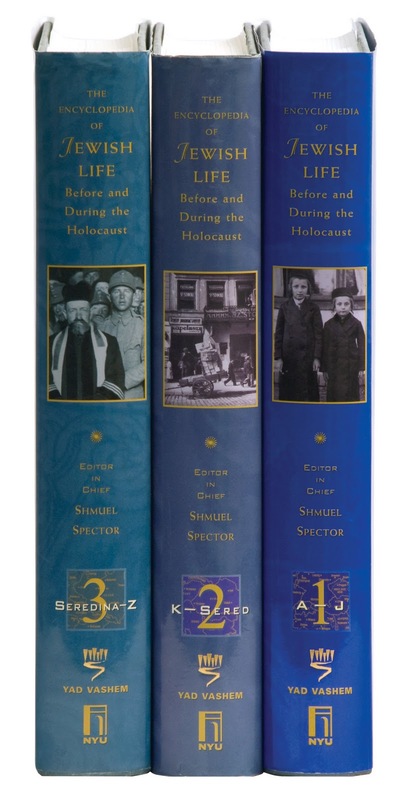 He would buy whole collections of books from families in Israel and would sometimes have books I was looking for after such a purchase. After visiting his store for a few years I asked him if he had an e-mail address so I could contact him occasionally to see if he had gotten any of the books I was looking for in stock. He laughed at me, of course he didn’t have a new-fangled e-mail address. The following year I visited the store again and lo-and-behold he had an e-mail address on his business card. Progress. The next time I visited his store, he had a computer on his desk. Not only did he have a computer, but he was searching eBay for items to sell in his store. I don’t think he was yet selling items on eBay back then, but now he has a large ‘Ebay Store’ where he sells items online. The above story is fairly typical of the evolution of small bookstores in the age of the Internet. On the one hand, in the old days you could find real bargains on books if you found them in a store that didn’t know anything about the particular book, on the other hand it was also very difficult to find specific books. Booksellers would offer search services, where I guess they contacted other booksellers and asked about the existence of the book in other stores’ inventories. Today the Internet has changed how used books are bought and sold. If you’re looking for something very specific, you’re unlikely to find a bargain anywhere. Every small bookseller out there, even the one in the barn that only opens during the summer months, is hooked up to the Internet. The bookseller may not have a web site where they sell their books directly, but at the very least they know how to price specific books based on the prices for the book elsewhere on the Internet. Booksellers upload their entire inventories to bookseller network sites like alibris.com and abebooks.com, which handle the web site selling, and allows customers to search across thousands of tiny booksellers and see all of their inventories in one search. You can even search across these different network sites by using a site like bookfinder.com. Chances are if you can’t find a book on bookfinder.com, you won’t find it in any store anywhere (at least for the languages it supports). That is a very different environment from the days when I originally went from bookstore to bookstore searching for books. Today it’s not about searching for a specific book, but more about figuring out which ones you can afford to buy online. Something is lost in the translation of course, and searching online is not the same as wandering the aisles of used bookstores, smelling the aging books, finding books one wasn’t really looking for, or finding the one amazing bargain you could never have imagined. Progress. Specialist used booksellers would publish paper catalogs of their books. Usually they would send out these catalogs to their customers a few times a year, showing new acquisitions. Can you imagine the costs involved in such a practice? How many booksellers do you think mail out hard copy catalogs today? I still get e-mail catalogs from these some of the same booksellers that used to send me paper catalogs, even years later, which is a smart way for me to look at their new inventory. I imagine if e-mail didn’t exist, I would have been dropped from these booksellers’ mailing lists a long time ago, for not buying books recently. Of course, no discussion of the change in finding books would be complete without discussing the impact of Google Books. Google has made deals with libraries across the world, and worked with them to scan millions of books and put them up on the Internet. For books out of copyright, the whole books are posted online for viewing. Google has built, for lack of a better analogy, the world’s largest library. 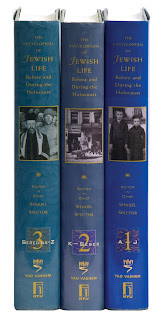 You can even download PDFs of the books for off-line viewing. For books still covered by copyright, Google works with the publishers to restrict what parts of the book the publisher wants people to be able to see, and directs people to buy the book if they want to read the whole book. Google’s recent move into selling eBooks will blur the lines between library and bookstore. So what does all of this have to do with genealogy you’re asking? Well, strictly speaking this blog is not solely about genealogy. The truth is, however, that there are a lot of books on the topic of genealogy that you can find free on Google Books, or you can locate physical books through many of the various search sites I mentioned above. You can preview the books on Google Books, or sometimes on Amazon (when the publisher has added a preview) and then search online for the best price on a used copy. Amazon also lets you buy used books, but checking the other sites will give you more buying options. Amazon owns AbeBooks.com, chances are the used book results on Amazon and the results on AbeBooks.com will be fairly similar. I still find it hard to pass by a used bookstore and not wander the aisles for a few minutes, even if I don’t end up buying something I enjoy look for books, I enjoy the smell of the books, I enjoy the very fact that there is a small business dedicated to selling books. Searching online is not the same, although it is gratifying when that one book you’re looking for shows up after a 30-second search online instead of spending years looking for it in dozens of bookstores. Happy hunting.